When you think of elderly individuals, the words forgetfulness or memory loss may come to mind. Whether you like it or not, your brain ages, just as your body does. Changes to your brain can negatively affect your memory resulting in forgetfulness which can dramatically affect your life. As well, significant changes to your brain can result in dementia, including Alzheimer’s disease. Currently, research on the brain focuses on finding new drugs that may slow or stop the damage caused by age-related dementia. Recent research from Arizona State University shows that social interventions may be effective in treating age-related dementia. Stopping or slowing the progression of age-related dementia will help to preserve memory and help ward off forgetfulness which can occur as we age. Previous research using honeybees has shown that when bees stay in the nest and take care of the larvae (baby bees) they remain mentally competent. However, once the bees fly out of the nest to gather food they age very quickly. This can be seen in their worn wings, hairless bodies, and loss of brain function after just two weeks. Brain function was measured by their ability to learn new tasks. The researchers began this new study, questioning what would happen to the bees if they went back to the nest to take care of the larvae once again. The researchers found that honey bees reverse brain aging when they take on responsibilities in the nest that are normally handled by the younger bees. The researchers tricked the older bees into performing social tasks within the nest. This effectively changed the molecular structure of their brain. The researchers removed all of the bees from the nest with the exception of the larvae and queen bees. When the older bees returned to the nest, activity was diminished. Some of the older bees left to gather food again while others stayed in the nest to take care of the larvae. After 10 days, about half of the bees taking care of the larvae had an increased ability to learn new things. The researchers also found that there was a change in the proteins of the brain when they stayed back at the nest to take care of the larvae. They found Prx6 which is a protein that is also found in humans which can help to protect the brain against dementia. They also found what they referred to as a “chaperone” protein that protects other proteins from being damaged when the brain or other tissue is exposed to stress at the cellular level. A study like this once would be difficult to reproduce in the human population because you would be interfering with the social lives of the participants. This could possibly have a detrimental effect on their brain health. However, this study does show promise as the proteins in the human brain are the same as the ones that were found in the bee’s brain. It provides some evidence that maintaining social relationships may have a positive effect on memory and may provide protection from age-related dementia and may reduce the chance of memory loss and forgetfulness. Memory loss can be a scary situation. It’s not the occasional forgetfulness that worries most people, it the loss of a lifetime of precious memories that can be scary. To help preserve your memory, be sure to keep connected with your friends, families and communities. 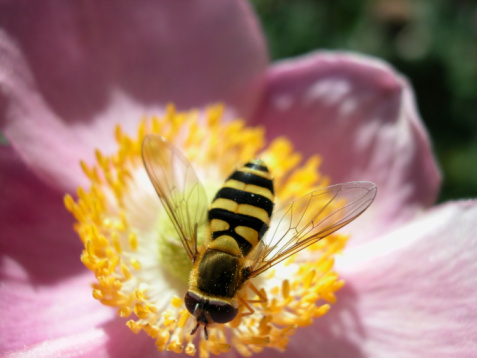 While the current research was conducted on bees, it may also hold true for humans. Maintaining your social relationships throughout your lifespan is a simple way to keep your mind and body healthy.